Aluminum or Steel? Whats the Deal? The length of the driveshafts are the same and they both will physically bolt onto any 1993-2002 Camaro or Firebird. 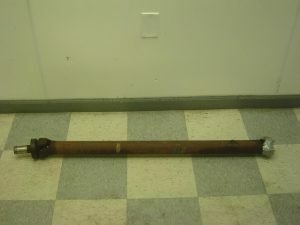 A lot of people will dispute that it matters whether the car is auto or manual, and 5.7 or 3.8 liter, however, these driveshaft will fit any of those. In simpler terms, these two driveshafts are completely interchangeable and will work with any 1993-2002 Camaro or Firebird. 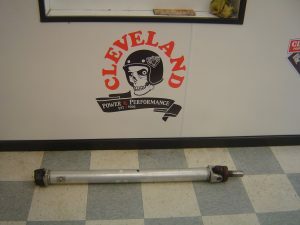 I will say in all of my years here, I have never had someone call me or tell me that they would like to swap their aluminum driveshaft for a steel one. The aluminum one is just as durable, despite the 9.5 pound weight difference, and seems to be the preference. And, obviously, if you are racing your car, and you believe that the less weight you have, the quicker you will go. So, all in all, that is a basic breakdown in the two driveshafts. Although very similar and interchangeable, aluminum seems to be a fan favorite for the 4th gen F-Body faithful.